I often get a suggestion on where are the best sushi places people ever gone to. Not surprisingly, it often led to a massive letdown. Fear not, this one tip pays off as someone suggested that I hit up Sushi Noguchi. Be warned tho...it's in Yorba Linda. This sushi location strangely enough would not be in some fancy plaza or some upscale locale, but at a strip mall with a supermarket close by. The only reason I would go on a trek to this suburban abyss was that a few friends' families have a gathering in their million dollar community that is far from the busy streets of inner cities. Good thing brand new homes are popping up in droves on this forgotten desert zone. The nondescript sushi place may not looked very much on the outside, but incredibly I think the sushi being presented here speaks for itself. Several things I noticed right off the bat in this place was there are different tiers menu on which type of omakase were being offered. 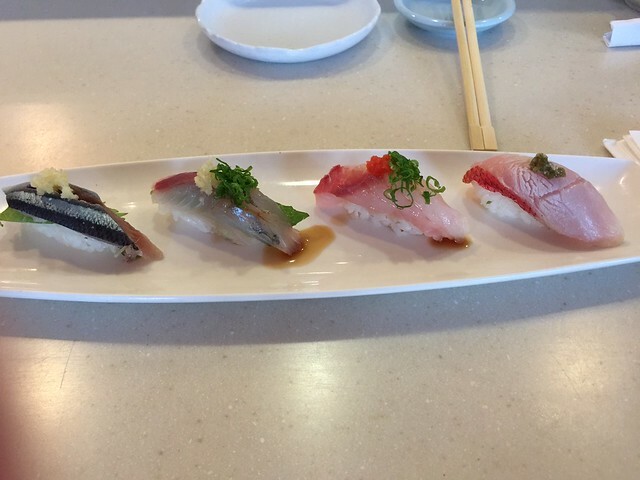 They have several preset meal sets that are somewhat considered a modify omakase. Small scale version if you will, but i decided not to do that and go for the real deal. Here is a question I'm sure that will get asked... is the chef a sushi nazi like other famous/well known chefs that are out there in needing to be a control freak? Probably not, when you get a modify omakase as a value meal in the menu. More importantly, probably will not be off putting like certain ones that are out there. Second, you'll probably asked is how a traditional omakase works? There are no price set as it is determine by how much you ate and which type of fish that night are being offered. You pretty much handing your wallet over to the chef, but you'll be guaranteed the meal will be served to your absolute satisfaction. Definition of omakase: "I'll leave it to you" (literal translation). 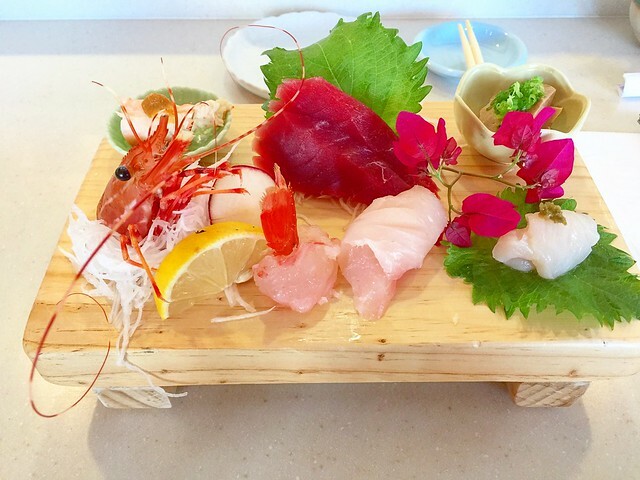 You are getting some well known established sushi (the ones with vinegar rice) and some sashimi (which is no rice) that are on the menu on the a la carte to start off, but then gradually you are moving towards to the fantastic fishes that are not being offered in the standardized menu. It'll commingled back and forth between the established dishes and the hard to get dishes. Often times, you got to take that chance and hope the chef really know what he's doing. I'm quite pleased on this being one of my most fond sushi place that I absolutely enjoyed. Often times, it's not price that determines the worth or whether or not it validates the proclamation of the best sushi. 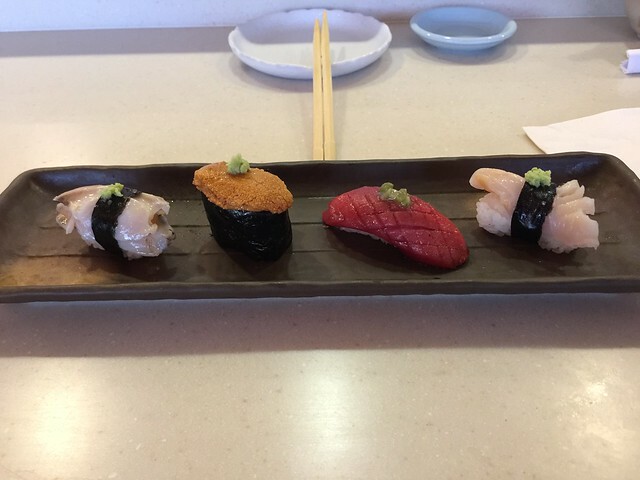 For this case, I will say Sushi Noguchi is one of the only three places I can totally put my wallet in the chef's hand and know I will not regret at the end. I don't even trust my father with that!